Massive publishing problems — Welcome to the GameSalad forum! This all needs fixing, urgently. Still stuck for me too. If this trails over the whole weekend, it's going to be really disappointing. I did successful build yesterday (Fri 5th) but today no joy. This is bad for a paid application. Surely someone should be working on this TODAY. They must know people work on their apps at different times of the day, and as a person who's main job is shift work, which means weekends too getting up 2.45 am, I expect stuff like this to be sorted within a few hours, when I'M PAYING FOR IT. All I can do is sigh. In nearly 8 years of using GameSalad I don't remember ever having days of publishing downtime, and in the past month or so we've had it twice. Over weekends... If there's anything that should be causing overtime on a weekend, it's this. Not being able to publish makes GameSalad... pointless. Working for Android publishing but was very slow (~2 hours). IOS stuck entirely (>5 hours and counting). Tried the usual tricks for restarting app generation. Held back on updating to latest creator version to try and avoid sticky situations like this. At least I can do some Android testing until things get sorted. Well i'm glad we've got the web version to look forward to. Wouldn't want to be wasting time on actual problems. Ha! Thought you could outsmart the mighty GS? Think again! Unfortunately, they can very effectively mess you around in the backend. For some reason the server got stuck on one publish. I restarted but it was so backed up that there will be a lot of failures for publishes that were waiting too long. While typing this and adding another fix, I noticed that publishes should be moving along again. Can anyone confirm a successful publish and upload to Apple? Thanks! What a joke. Just logged in to see if my 23 hour build was ready. Message 1 - The internets are broken. 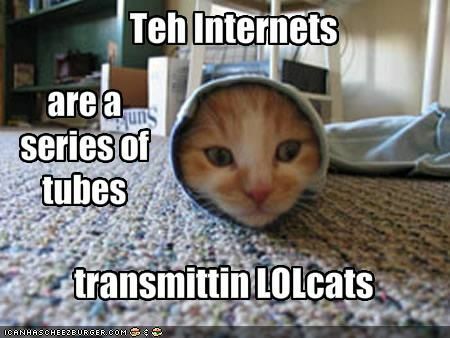 Internets???? Wtf???? I thought there was only 1 internet but it wouldn't surprise me if they'd managed to build an entire new internet in the time its taken for this build to fail. Message 2 - Apparently some of my images are corrupted (so its my/my iMacs fault) and need to be re-saved. Well, 2 of the images were old and so I could delete those. I sometimes can't make up my mind so keep some images in the project so I can change my mind. I deleted those images, and went to my image editor (Logist in this case) and re-exported the PNG file. I then imported that file into GS and overwrote the previous image. I then uploaded and hit generate. Only to get the same lousy message back. This is a lousy way for paying customers to be treated. Hacked off isn't the word for it. A client is getting this error. We replaced and deleted images, but it looks like new images are just being lists. Is this a common error? Never seen it before. I imagine this isn't an issue on my end. Look forward to the team being back in office. This is what I've been getting. Even more strange is this. I went back quite a few versions of my project (thank god save a new filename pretty much every save), and uploaded this project. Images which exist in this earlier version AND still exist in the latest failed build are also corrupted, but they weren't corrupted in the latest version. If that doesn't make sense, hope this example does. My game has a congratulations message PNG, and this image has been in the game for ages. It wasn't one of the corrupted images when my latest build failed, but it failed when I tried to generate a build from the earlier version. There were a couple of other images which failed as well from that earlier build which hadn't been flagged with the latest version. I'm regretting upgrading to High Sierra and GS 1.25.85 as theres a few bugs too. I've managed to get an iPhone build (submitted to generate at 10:39) through TestFlight and on to a device. Non of the errors mentioned above apart from having to re-submit due to the publishing problem earlier. Looks like at least some iOS publishing must be getting through now. Sounds like the problems that myself and others are experiencing might be due to the High Sierra / 1.25.84 and 1.25.85 updates. Thanks for posting. I might try another build. Don't fancy having to roll back both my OS and GS versions. I uploaded last night and created a new project to upload into, and generated using that. Managed to finish processing overnight and I just successfully uploaded a build to Apple. So that's one fewer client waiting on me, at least! @[email protected] - perhaps try making a new project to process rather than uploading the game into the existing one. And this all goes to prove why relying on server side builds is such a bad idea for game development. Are you using reesolution independence? The image corruption used to happen every time I published with Ri checked. Turning it off resolved it just fine. The corruption happens server side, not in your actual project. No argument at all here. This is a situation that should never have been allowed to happen. Imagick or the software they use to prepare images server side seems to be corrupting images. I have seen this error many times publishing a large project using Ri. It's not the project that is corrupt. It's the images generated server side are failing and corrupting there. Looks like you all figured it out. It should be fixed now, but here's the breakdown. There were a number of project with a large number of images holding things up and breaking publishing recently for some reason, so I've tried turning off RI. Unfortunately there are two places I needed to turn of RI, causing the corrupt image error. Basically the RI images weren't there when expected, so the tool that converts images to the gsimage format threw an error that's the same as if the image is corrupt. 1) That was because I didn't add a parameter to new assets icon when I uploaded them for the next processing step. The processed icons expire and disappear to save space. For projects that show that error, it meant that another preceding the publish took too long and the image was gone when processing started. Since the image disappeared, it couldn't download and threw a generic internet error. Dem internetz, they are’s chilling now. @adent42 All seems fixed, thanks! Huh! I thought they must have outsourced GS development to North Korea. Or that North Korea had succeeded in breaking the Internets. @adent42 Thanks for the update. I appreciate your hard work on these issues.